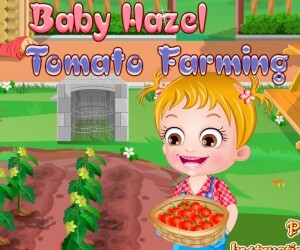 In this exciting game, Baby Hazel is turning 3 years old! Join in on the fun by helping her and her friends have a spectacular time at her birthday party. 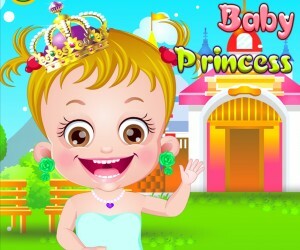 Help her get ready for the party, and later on participate in all the fun-filled activities her mother planned for her. Baby Hazel is delighted to wake up to her mother giving her a tasty birthday cake. After she blows out the candles, her mother takes away the cake and tells her she has to get ready for the party. Her friends call and wish her a happy birthday. She then opens a gift beside her bed from her mother. 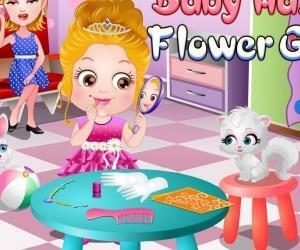 In this level, you get to help the birthday girl prepare for her special party by washing up, getting dressed, and applying some fun makeup and accessories. Baby Hazel arrives at the party feeling very excited. She and her friends watch a clown juggle. Seeing this instigates a desire to try juggling herself one day. Then the magician shows up. She hands him a yellow balloon and asks him to turn the balloon into a chocolate bar, in which he gladly does. He then performs a delightful magic trick on her pet rabbit. Later on, she gets upset by another magic trick, but you can help her feel better through a little surprise. Baby Hazel and her friends gather around the table to have some birthday cake. She blows out the candles and cuts the first piece for herself. After this, her friends present to her their gifts. Then she provides pieces of her birthday cake for all of her guests, even the magician and the clown. How sweet! She and her friends then decide to dance afterwards. She ends up having a wonderful birthday. 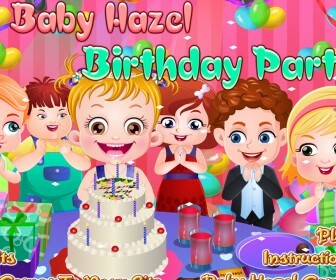 Baby Hazel Birthday Party is a fun game for young kids to learn the value of being friendly to one another and being selfless. In Level Three, when the cake is shared with not only her friends, but the magician and clown as well, it exhibited a selflessness that kids could ultimately learn from. Her mother so lovingly planned such a wonderful birthday party for her, and her friends were genuinely kind to her. All of these things can be learned from, so that overall, kids can see that it is very good to be kind and selfless. A birthday is the most special day in someone’s life, but Baby Hazel’s birthday is one of our most special days, because we get to enjoy Hazel having a blast! Today it’s Hazel’s 3rd birthday! Would you like to join her for a birthday party? If yes, then go ahead and join the celebration. Dance, music, feast and tons of surprises, Our little princess will have a birthday party that will be remembered for years to come. because someone very dear to her has planned a surprise for Baby Hazel. Play the game to find out what the surprise is.